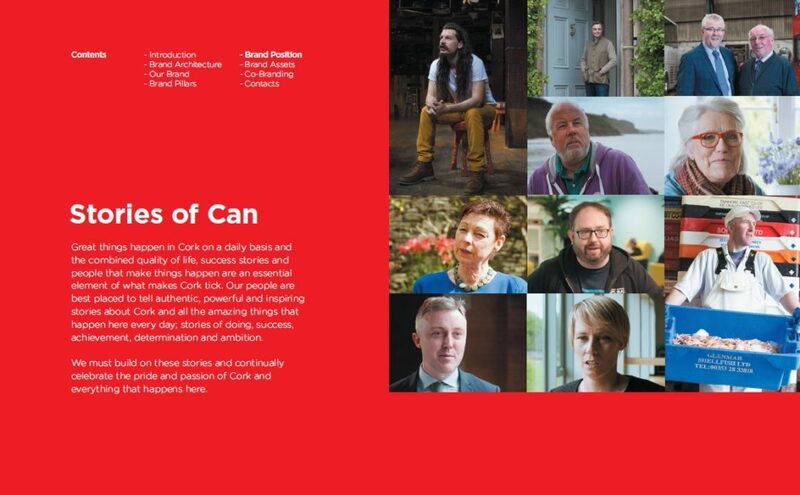 The Cork Place brand has been developed to allow and encourage Cork’s public sector, business, education and visitor stakeholders to use the brand when promoting Cork to their respective audiences. We would also encourage the Place Brand to be embraced by wider audiences who have the sole focus of promoting Cork in a positive way and would benefit from the joint promotion of the Place Brand – in these scenarios, where individuals and organisations fall out with the core stakeholder group, permission or advice should be sought before using the Place Brand. We want to be as inclusive and flexible as possible, so we will assess all requests on an individual basis and provide the best guidance and ideas for your use of the brand. We envisage the use of the Cork Place Brand logo as being a complementary logo within your existing communications and this should be done in a structured way and in accordance with the core brand guidelines. We would also encourage you to use the wider brand creative to really boost the exposure to the brand. There are templates and styling guidance in our brand guidelines to assist with this. The brand will be considered for use in situations of positivity and opportunity for Cork as a whole and we want it to be easily accessible for everyone who wants to use it. Any detrimental or defamatory use of the brand will be deemed as a serious breach of copyright and consequential action will ensue. No new styling or extended use of the brand should be attempted whereby a new campaign is developed around the core proposition of the Cork Place Brand, and any ideas in this area should be discussed initially with our core brand team. So, you want to use the brand? 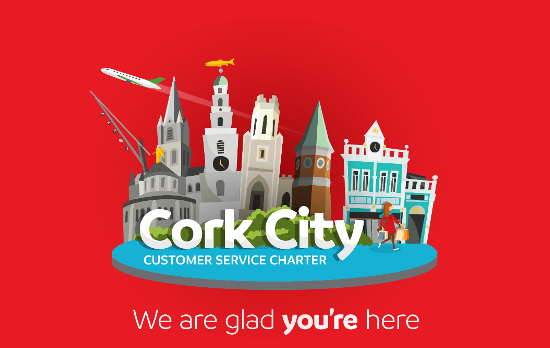 Our brand is your brand; it can be used by anyone who is involved in the positive promotion of Cork as a place to live, visit, study, invest and do business in. If the Place Brand is used consistently, we will create a recognisable entity that over time will become synonymous with our Region. If you’re looking to understand if and how you can use the Cork Place Brand in a project, you’ve come to the right place. If you would like to use any of our brand assets on your website, in an advert, in an article or book, or reproduce them anywhere else, or in any other medium, you’ll need to receive permission from us first. All of our brand features are protected by applicable trademark, copyright and other intellectual property laws, as detailed below. 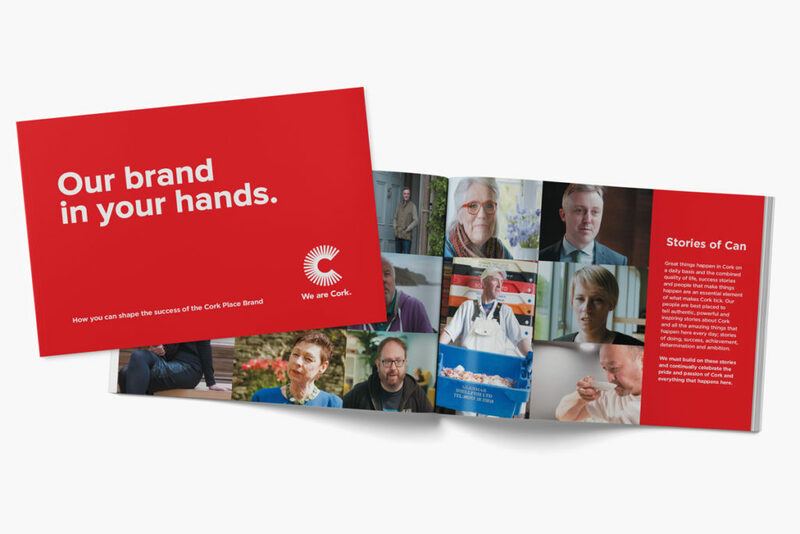 Please contact us at info@wearecork.ie for a copy of our brand guidelines, logo or general guidance on using the brand. Please detail how you intend to use the brand and the specific nature of your request. 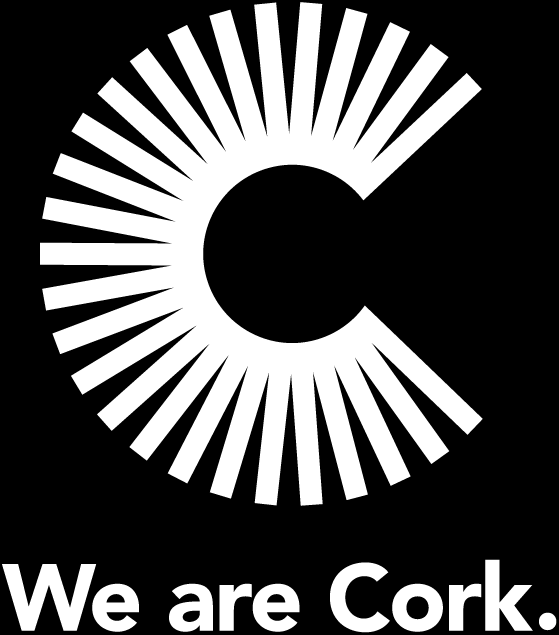 “We are Cork” and the “We are Cork” logo used on this website are trade marks and registered trade marks of the Cork Brand Steering Group (though Cork City Council). No use or display may be made of these trade marks or logos without prior written permission. Unless expressly stated otherwise, all materials, publications, images, illustrations, designs, icons, photographs, music, video clips, audio material, text and logos made available through this website (collectively, the “content”) are protected by copyright and/ or other intellectual property rights owned by the Cork Brand Steering Group and/or its subsidiaries/ affiliates. No content on this site may be modified in any way. No part of this website or its content may be reproduced without prior written permission. 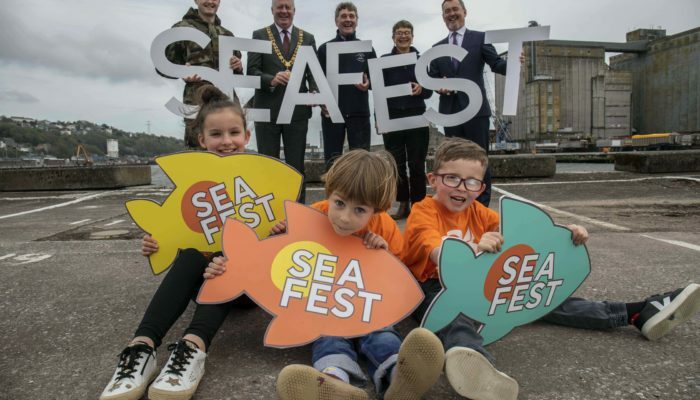 You may not, except with the express written permission of the Cork Brand Steering Group, distribute or commercially exploit the content contained in this website. All rights not expressly granted herein are reserved. 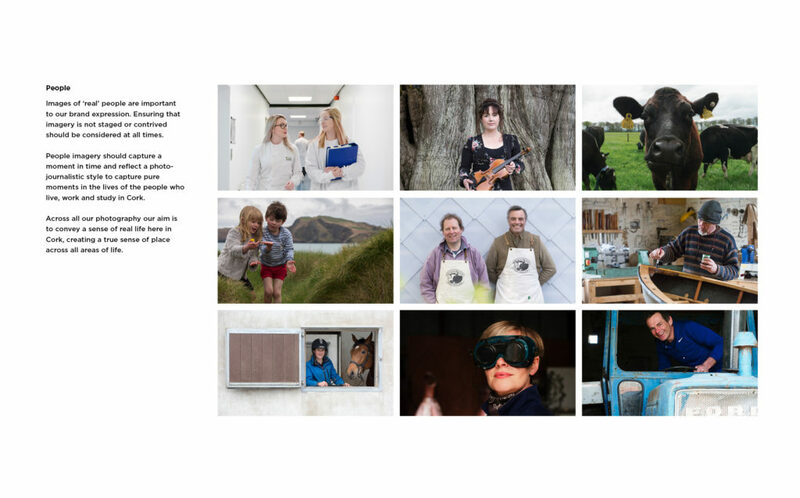 Our photography has been captured professionally and copyright is retained in full by Clare Keogh with permissions granted for core stakeholders and associated organisations and individuals to use the photography in the context of Place Brand creative only. Therefore, no use of the core photography should be used for any other purposes other than when promoting the Place Brand in print, digitally or sharing on social media. Full terms will be provided if you want to use the any photographic elements of the brand. Our video strategy and creation has been carefully implemented in partnership with Mike Hannon and copyright is retained in full by him with permissions granted for core stakeholders and associated organisations and individuals to use the video work when promoting the Place Brand. Video is a powerful medium and we would encourage people to use the videos in events, on websites or when sharing digitally. Videos should be screened or shared in their entirety – unaltered, unedited and unabridged with the context of the place brand creative embedded at the start and end. Full terms will be provided if you want to use the any video elements of the brand.